Our policies are underwritten by Sportscover Europe Limited, backed by A-rated security. Endsleigh insurance brokers handle all insurance matters for clients. Endsleigh and Sportscover have teamed up with the British Crown Green Bowling Association to develop a unique insurance product designed specifically for BCGBA members. We've gained a real understanding of what BCGBA members need from their insurance, and developed this product which members can now purchase online. Exclusive to BCBGA Members brought to you by Endsleigh in Association with Sportscover. Get a quote & purchase online. Employers' liability giving protection against your legal liability for damages and legal costs arising from injury to any person employed by you in the course of their employment in your business occurring during, the period of insurance; for sports clubs and associations. Personal Accident Cover is operative when travelling to and from training or games. It provides cover for all referees, officials and players. This cover is suitable for Leagues, Associations, Clubs and their registered members of British Crown Green Bowling Association, who have paid membership fees and been declared to Underwriters. Company Reimbursement giving protection by paying on behalf of the Company any loss which it is legally permitted to make; arising out of any claim for any wrongful act committed or alleged to have been committed by any Directors and/or Officers in their capacity as a Director and/or Officer; and first made against them jointly or severally during the period of insurance and notified to Us during the indemnity period. Endsleigh has years of experience in arranging bespoke insurance solutions for sports associations and national governing bodies. Sportscover is one of the world's leading specialist sports and leisure insurers with nearly 30 years experience providing cover specially designed for sport and leisure. The Sport of Crown Green Bowls is a sport for all ages, from grandchildren to grandparents. It is a great sport for making new friends and is a sport which os enjoyed by all, including people with disabilities. 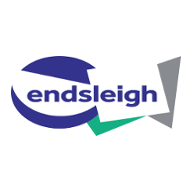 Endsleigh Insurances (Brokers) Ltd is authorised and regulated by the Financial Conduct Authority. This can be checked on the Financial Services Register by visiting its website at www.fca.org.uk/register. Company No: 1379884 registered in England at Shurdington Road, Cheltenham Spa, Gloucestershire, GL51 4UE. Sportscover Europe Limited is authorised and regulated by the Financial Conduct Authority. Registered in England and Wales No. 03726678. Registered office 75/77 Cornhill, London EC3V 3QQ. Please acknowledge that you have read and acknowledged our Data Protection Privacy Notice.